Cal State San Bernardino’s brand-new housing facility and dining complex opened this month. 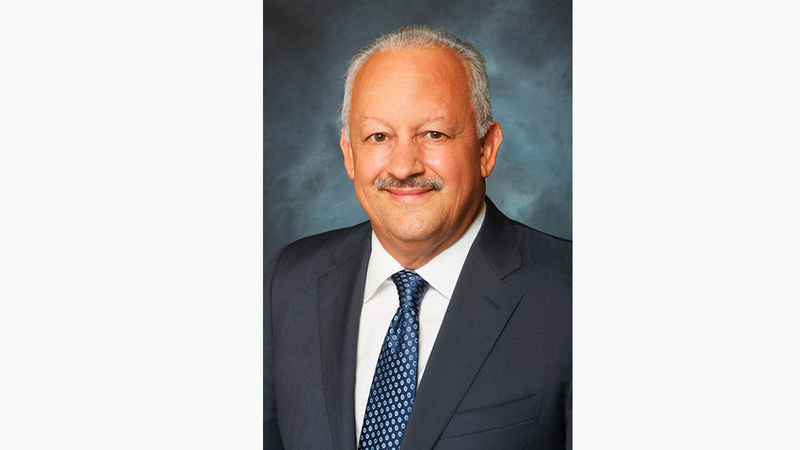 Nearly two years ago, Cal State University San Bernardino (CSUSB) President Tomás D. Morales and others broke ground at the site and earlier this month the university held a ribbon cutting ceremony to celebrate its official opening. The housing and dining complex identified as the Coyote Village and Commons consists of 416 double units and a limited number of single spaces. Coyote Village and Commons is approximately 114,000 square feet and will provide housing for 400 freshmen. It boasts study rooms on each wing, a centralized activity center, community kitchen and laundry facility. 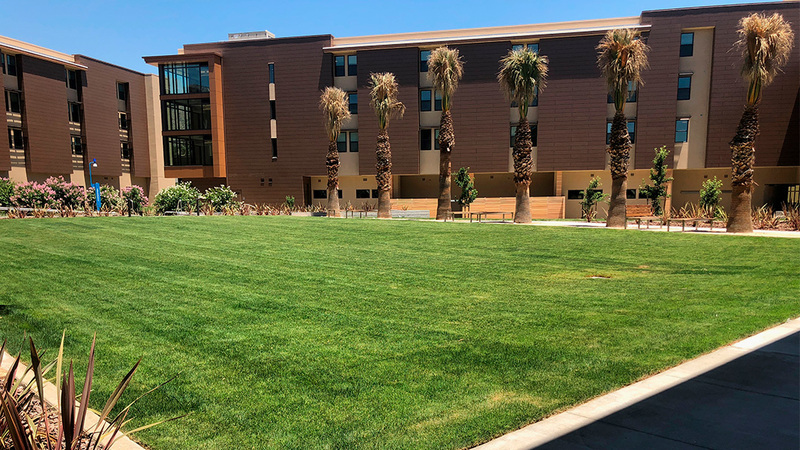 Coyote Village will also house the CSUSB Administrative Offices, Honors Living Learning Community, and the school’s First Year Living Learning Community. In addition, it will provide housing for two faculty members who are participating in CSUSB’s faculty-in-residence program during the 2018-19 academic year. According to school officials, this is just the first phase of what will eventually grow into a larger housing community with the capacity to accommodate as many as 1,200 students. Coyote Commons dining hall sits adjacent to Coyote Village and is open to all students, faculty and staff and offers 50,300 square feet of dining space. The hall can accommodate up to 700 people and includes a 50-seat mezzanine as well as a private dining room. It offers a full range of cuisines including vegan and vegetarian options. In addition, the food stations are both self-serve and full-service. The Commons provides late-night dining options and a convenience store as well as outdoor spaces for meetings and social functions. At a cost of $95.8 million, the housing and dining complex combined represent the largest capital investment in the school’s history, yet the project did not require general funding from the state. Instead, rent paid by students living in the school’s residence halls will offset the cost of the new facilities.